Protecting your investment while providing a pest control program that suits your needs. It’s possible that your home could be at the root of your allergies and even asthma symptoms, especially if you have a rodent infestation. Being exposed to rodents can trigger asthma attacks and according to the National Center for Healthy Housing, there is a direct link between rodents and allergy and asthma symptoms. Rodents and allergies seem to go hand in hand, so read on to find out some important information you may not be aware of. 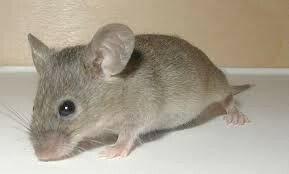 Once thought to be strictly an inner city issue, mice and rats are now common outside of urban areas. More startling yet, is the fact that 82% of homes have been found to have rodent allergens. Exposure to allergens comes through the vermin’s urine, skin or saliva and it can cause such diseases as the Hantavirus. Kitchen floors contain the highest concentration of allergens of all the places in the home. Often other magnets for mice or rats include bedding and the bedroom floor, while living room couches and chairs contained the lowest level of allergens. Just because you don’t physically see a mouse or rat in your home doesn’t mean anything. These vermin can be in your home living in the walls and you might not ever actually see them out running around. In general, if your home has many cracks and crevices, rodents can get in and produce allergens. There are many symptoms that can be associated with a rodent allergy and although you may know you have rodents, if you don’t notice them they can cause you to feel miserable. You could have strange rashes on your skin and not know the cause of them. If you have allergy symptoms when you know a particular allergen is not in season, it could be related to mice or rats. Other symptoms include itchy eyes, stuffy nose, coughing, itching, breathing difficulties and other respiratory issues. There are a lot of things you can do in order to rodent-proof your home. The methods you incorporate should focus on preventing infestations, trapping rodents and limiting your use of toxic poisons and chemicals. However, even after you get the population under control, the hair, urine and feces will remain and can still set off allergies, so they must be removed. You should go around your home and seal off any cracks or holes in the foundation. These include any utility openings and joints between materials. You can use corrosion-proof materials like copper or stainless steel mesh, because rats and mice can easily chew through other things and squeeze through even the smallest of openings. Add some barriers to the foundation walls to make it more difficult for them to come in under your home. You can add some heavy-duty wire mesh material along the outside of the foundation to make an effective barrier. Store the foods in your kitchen in glass or plastic containers; this will eliminate any food sources and prevent your food from being contaminated. Ensure your trash is stored in a secure container with a lid, such as covered garbage cans and dumpsters. Seal up passages through the interior flooring, ceilings and kick spaces. Kick spaces are the areas in your home at the bottom of your cabinets or built in between furniture and the floor surface. Keep your kick spaces open to limit places where vermin could hide. It’s important to keep your bushes and tree limbs trimmed back to be at least three feet away from your home. Bushes and trees near your home give rodents easy access to your property and some could be a source of food. If you think your home might have a rodent issue, it is a good idea to follow some of the tips listed here, but if you need additional assistance, it may be time to call in a professional pest control company. Sugarland Exterminating’s professional team will help you protect your home from four-legged pests this winter. Sugarland Exterminating offers full service pest & termite control programs throughout Acadiana and Southwest Louisiana.